If you watched the Super Bowl this year, you probably saw the Budweiser commercial that puffed their chest proudly at being a “Macro Beer.” The beer giant then proceeded to take cheap shots at the craft beer community. While I do agree that the bearded hipsters in skinny jeans can take things a little too far sometimes, I’m personally enjoying the front row seat we have to the craft beer revolution. Nearly every week, there is a new brewery popping up, or a much anticipated “small batch” release by the usual suspects. While Avery has long been an industry leader in barrel-aged sours and wild ales, their small production space allowed only for a limited quantity of these beers. The new 65,000-square-feet brewery has completely changed all of that. On May 1st, Raspberry Sour was released. A sour with red raspberries aged in neutral oak barrels. 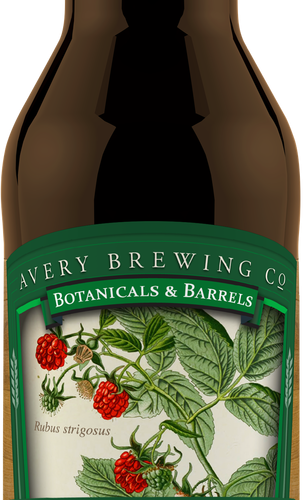 It is also the beginning of a new series for Avery called Botanicals & Barrels, which will feature barrel-aged beers in 22-ounce green-foil-capped bottles that are available year-round. As popular as sour beers have become recently, they certainly aren’t the cheapest beers on the shelf. The Raspberry Sour bomber is offered for $14, which in today’s market, is a welcome change. The Raspberry Sour has all the complexity you would expect, but is also very approachable for a sour newbie. I see many summer nights on my porch with guitar pickin’ buddies and Raspberry Sour in hand. For more information about Sour Spring, beer lovers can go to Avery’s event calendar at AveryBrewing.com.